Provoked by the revocation of his bail and issuance of bench warrant by the Binta Nyako court sitting in Abuja, the Supreme Leader of the Indigenous People of Biafra, Mazi Nnamdi Kanu, showcased his legal potency, entombing what is left of the Nigerian Judiciary in the process. The internment which was served on April 6, reached the public via Radio Biafra – the hallowed platform upon which the gospel of Biafra restoration has over the years been preached. In the epic broadcast, Kanu decried the disregard for the rule of law in the Nigerian state, noting that it is a bummer which takes origin from the highest governmental echelon, rooting down through the hierarchies, the effect of which is a wild Nigeria – a simulacrum of a zoo. Beginning with the illegal removal of the Chief Justice of the federation, Justice Walter Onnoghen and his unduly replacement by Muhammad Tanko – a sharia court judge – Mazi Nnamdi Kanu tore the Nigerian legal system into pieces, dissecting the constitution line by line and feeding the bits to even the most unlearned of all. Referring to chapter VII of the 1999 Nigerian constitution as it attends to judicature in section 231.1, the sage availed his audience with the legally provided grounds that can orchestrate the removal of the chief justice of the federation as well as the procedural replacement and the qualifications of the choice justice. Sadly, the constitution was swept under the carpet in both the ejection of Justice Onnoghen and the subsequent replacement by a sharia court judge, Muhammad Tanko. The irony of it all is that while the uninformed masses looked on in their ignorance, rather than prove its worth, the legal body whose prestige is being defecated upon by the egoistic and self-serving executive submits self to the power ridiculing it for further ridicule. “If the office of Chief Justice of Nigeria is vacant or if the person holding the office is for any reason unable to perform the functions of the office, then until a person has been appointed to and has assumed the functions of that office, or until the person holding has resumed those functions, the President shall appoint the most senior Justice of the Supreme Court to perform those functions,” Kanu quoted. Examining the above lifted constitutional article, one then asks, is Muhammad Tanko the most senior Justice of the Supreme Court? But just before that, a preceding question begs attention: was Walter Onnoghen in any way unable to perform his functions as the office of the Chief Justice of the federation bestowed on him? If no, on what premises was his ejection from office predicated then? Reminding even the judiciary itself of its all-important proclamation, “The accused must be presumed innocent until conviction,” the vibrant Biafran leader awakened the people’s consciousness on Fulani’s assault both on our reasonability and morality. Moving on, Kanu told how, in contravention of the law, innocent souls are being held in DSS dungeons, cells in army barracks, as well as police cells for years without trial or even a charge. Narrating the ordeal of the people he met in DSS dungeon in both Lagos and Abuja who have spent years without being taken to court or charged of any offence, Kanu shocked the public with the news that the police and DSS are now steeped in the morbid business of harvesting detainees’ organs and selling them to Chines and Indian human parts dealers. The irony of it all, Kanu noted, is that while these innocent souls languish in different detention centers across the country (practically waiting for their turn to be harvested in the morbid money-making venture), Boko Haram terrorists and murderous Fulani herdsmen walk free on the street, a sizable number of them even being absorbed into the army and police force. Bringing to daylight the police and DSS’ criminality in detention without trial, the IPOB Supreme Leader invoked article IV of the 1999 Nigerian constitution. “Any person who is arrested or detained in accordance with subsection (1) (c) of this section shall be brought before a court of law within a reasonable time, and if he is not tried within a period of two months from the date of his arrest or detention in the case of a person who is in custody or is not entitled to bail; or three months from the date of his arrest or detention in the case of a person who has been released on bail, he shall (without prejudice to any further proceedings that may be brought against him) be released either unconditionally or upon such conditions as are reasonably necessary to ensure that he appears for trial at a later date.” On the premises of the above lifted constitutional article, Kanu established that nobody should be detained for more than two months without trial or at least the benefit of automatic bail. It’s, therefore, a mark of irresponsibility, neglect of duty and subversion of law for any judge to deny one bail on the flimsy excuse of some offences not being bailable. 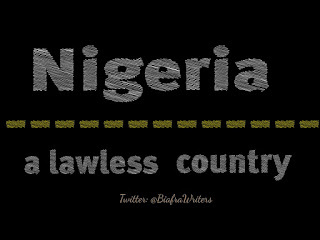 Kanu also quoted from the same section of article IV that “Any person who is arrested or detained shall be informed in writing within twenty-four hours (and in a language that he understands) of the facts and grounds for his arrest or detention.” One then wonders what has become of the constitution as most of the people languishing in police and DSS custody are not only denied fair hearing but are as well not informed of any supposed crime for which they are being detained. 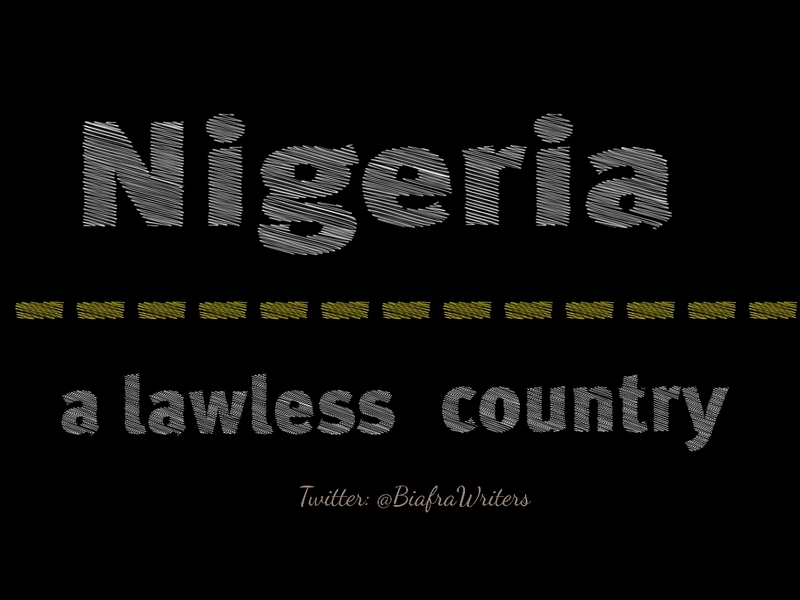 If the judiciary – a body that is supposed to preserve the law – becomes complicit in the subversion of the law, then, Nigeria is indeed a lawless state, nothing short of animal kingdom … Zoo as Kanu and followers preferably call it.